The Wi-Fi Smart Light Switch can control your lights from your mobile phone by ‘Smart Life’ APP（ios or android）.The smart light switch also a normal switch,simply touch the switch to toggle your lights on or off. Control your devices from anywhere,just using the free app on your smartphone or tablet. – Before going home you can open the air conditioning in the living room, open the bedroom warm light, ready to take a bath of hot water, to eliminate the fatigue of the day. – If you want to go to the bathroom or go to other rooms after you turn off the lights, you can use the phone APP to open the lights in advance,there will never be any fear or accident,it is especially important for the elderly, children and people with disability. – Use Away-Mode to turn devices on and off at different times to give the appearance that someone is home while you are away. – Turn on a light or coffee maker before you get out of bed,make your life more easier. – Charge protection.One-touch key to set the device charging time, effectively prevent overcharge.Protect the phone charge, extend product life, put an end to security risks. Please double check the size of the switch and mounting bracket,Replace multi-switch in 1-gang wall box only. 【Elegant and useful design】Space saving design fits 2 switches in 1 gang wall box. Waterproof tempered glass touch panel will never fade and always look new and well compatible with your room Decor. 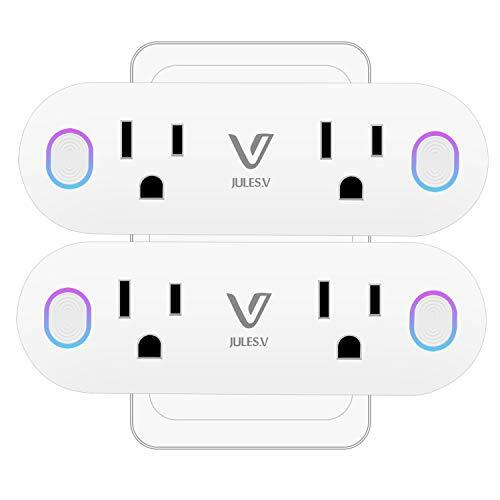 【App Remote Control】Download a free App “Smart Life” on your tablet or smartphone, Controling your light or other appliances through Smart Life App from anywhere. (Compatible with Android 4.1 or higher & iOS8 or higher).No Hub or monthly fees required. 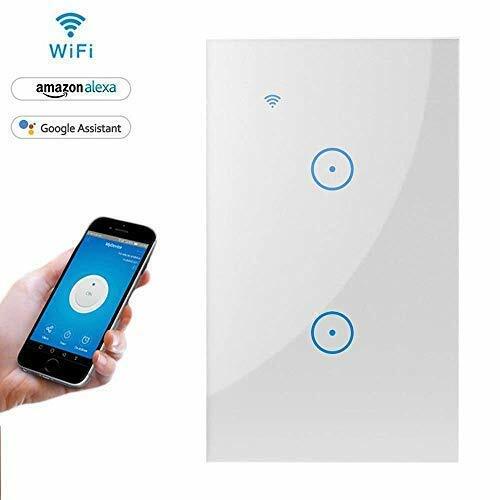 【Voice Control】Smart Wi-Fi Light Switch Perfectly Compatible with Alexa, Google Assistant for voice control.you don’t need to find a touch panel when your hands are holding something or busy cooking. 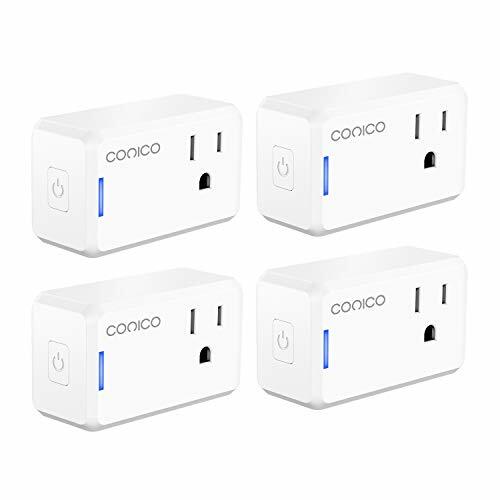 【Timing Function】According to your Schedule and set up smart Wi-Fi light switch to automatically power electronics on and off. Worry-free when you are sleeping or working, it also prevent overcharging and overheating save on your electric bills and extend product life. 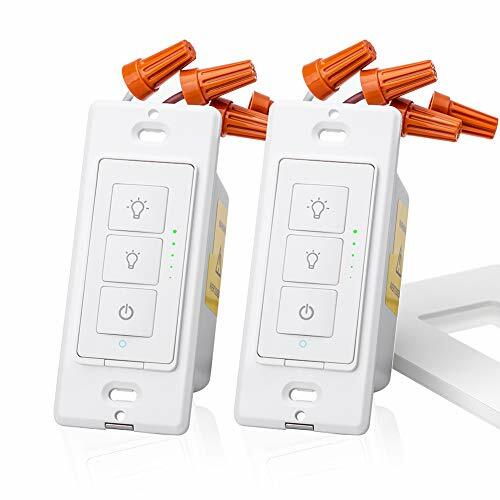 【SATISFACTION GUARANTEE】The smart wi-fi light switch CE approved for safety and quality assurance, safe in use, We offer you 100% Risk Free Satisfaction Guarantee to let you buy with confidence. In case any problem happens to the Switch,we provide replacement or full refund.